- Rebooting the franchise with a cast of acclaimed young actors is a very wise move. - The shift to a "grittier", dramatic tone is something fans of the series have wanted since the more colorful, kid-friendly take of the original two movies. - Social media activity is quite strong this far out with Twitter activity ahead of where Guardians of the Galaxy was at, and a Flixster vote total over 100,000 already. - Waves of negative buzz have been building lately, largely driven by rumors surrounding the director's on-set approach. - The late summer market looks competitive enough as is, so Fantastic Four will really need to deliver in order to stand out. 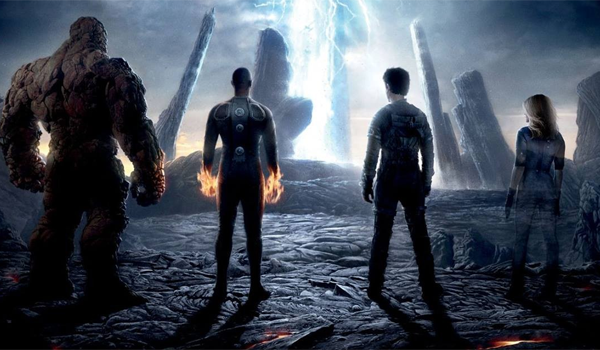 - Reboots are a dime-a-dozen these days... will casual viewers care about another Fantastic Four movie? Magic Mike XXL Jul 1, 2015 Warner Bros.
Max (2015) Jun 26, 2015 Warner Bros.
Fab post. I think It would be appropriate if I Publish some of my work here. These are links which will definitely be a good source of information and knowledge. They all point to relevant yet diverse websites. So please have a check. Thanks.